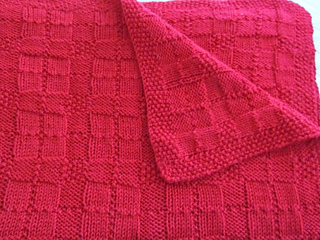 throw size 40" x 52" and baby blanket size 30" x 30"
This timeless heirloom blanket is knit in a reversible plaid pattern, available in two sizes. 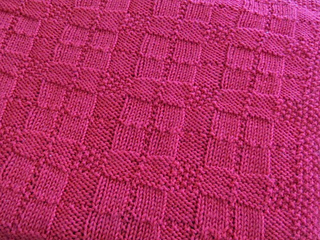 An easy pattern using knits and purls to create checked plaid, complimented with a seed stitch border. 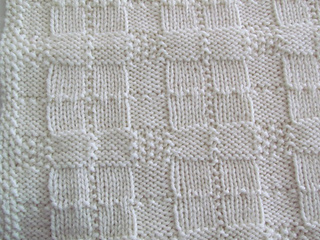 Perfect for the Family Room Throw or a blanket for Baby.